Google is a leader in numerous local markets around the world and is acknowledged as the company dominating the global search engine industry. There is an enormous number of people who use Google, and for a majority, it is their search engine of choice, with an estimated 3.5 billion searches a day. Despite this fact, there are several places where Google struggles to gain any form of traction such as Russia and China, among others. One of the countries that has its own local search engine giant is South Korea. Its top player is Naver, with over 70% share of the market. A share even larger than that of Google in the US. The country has a population of more than 50 million and an 84.1% internet penetration rate. It also boasts the seventh largest retail e-commerce market worldwide. Thus, it offers plenty of opportunities for digital marketing. This article will introduce Naver, South Korea’s prevailing and most popular search engine market, by examining its basic functions, what makes it different from Google, and the various ads that it offers. In addition, South Korea’s search engine market will also be discussed. Search engine optimization (SEO) is a crucial part of digital marketing. However, there is limited knowledge and information on how this can be done on Naver. Google is certainly available as an option, but as mentioned previously, Korea is one of the few countries in the world where Google is not the leading search engine. 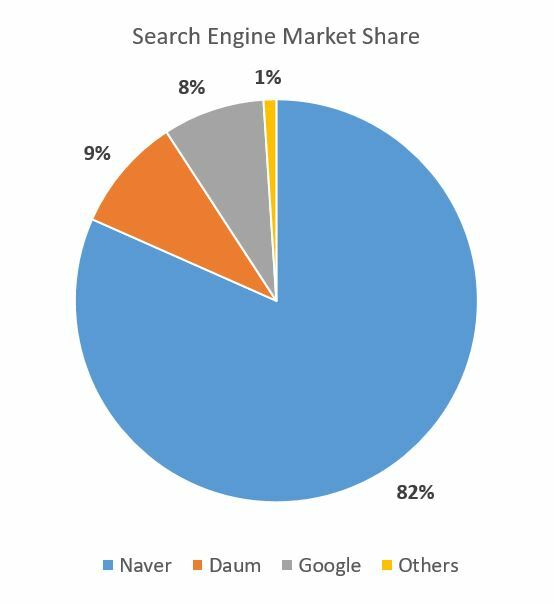 In its place, Naver dominates the market with more than 70% of the market share, followed by Daum, another local search engine, then Google in third place. 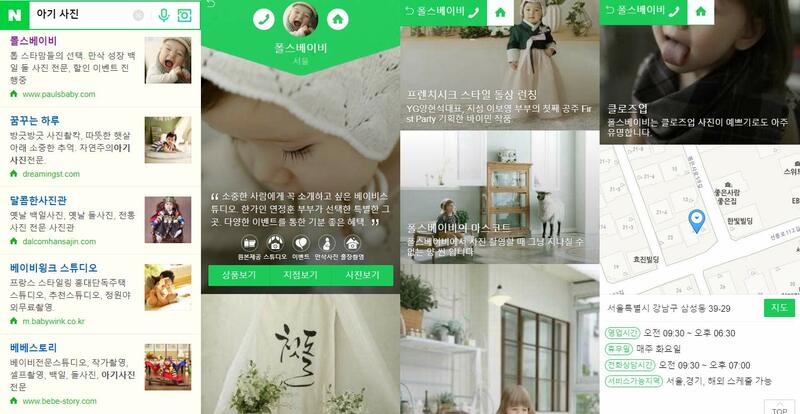 Initially, Daum had the upper hand in the Korean market and made a groundbreaking success with Daum Café. However, it did not take long for Naver to implement their own game-changing feature, KnowledgeiN, which is a Q&A platform. At present, Naver has won over Korean searchers with its wide-ranging services that include Naver Blog, Naver Café, Naver KnowledgeiN, websites, news, images, shopping, maps, and mail. With its widespread influence in Koreans’ daily lives, Naver is a search engine that should not be ignored by companies wishing to enter the Korean Market. Naver, derived from the word “navigate”, was launched in 1999 by a group of ex-Samsung employees and has since led the Korean search engine market. To numerous users in South Korea, Naver is not merely a search engine. A lot of Koreans use the site as a web portal where they can view news on a range of their interests, receive suggestions, and get ideas on which topics to search for. It serves as a hub that users can browse, with an abundance of rich media content that may lead users to search for more news on a subject of interest. 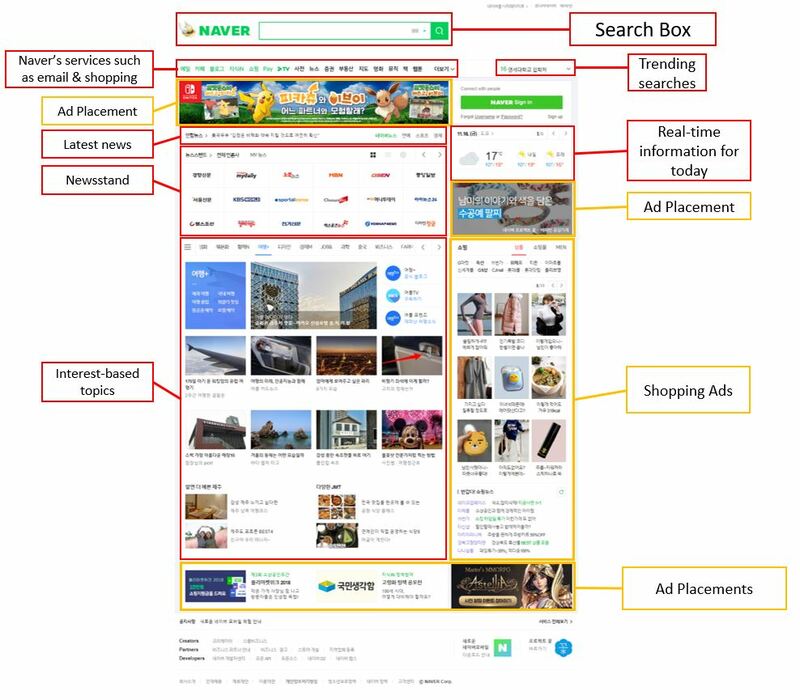 While users can opt to go elsewhere for certain things like e-commerce and travel sites, Naver’s multi-functional characteristic makes it serve as the Korean homepage of the internet. However, here’s the catch: Naver is not available in English. There are no English versions of the search engine as well as its main services such as Naver Blog and Café. A few exceptions are the Naver account signup page, the Korean-English dictionary, and webtoons, which are online comics. The dissimilarities between Naver and Google are blatantly noticeable when comparing the appearance of the homepage as well as the content. However, they also have differences in search tools and search engine results page (SERP) features. To the casual eye of Western users, the Naver homepage may look busy and cluttered. This is only in contrast to the minimalist style of Google. Once the homepage is dissected and analyzed, users realize that it covers a variety of topics, news stories, and weather. On the top banner, there are several links available that can lead users to “mail”, “café”, “blog”, “dictionary”, “shopping”, “news”, “stock market”, “music”, “books”, and “cartoons”. On the other hand, upon glimpsing the Google homepage, users are presented with a search bar and fewer elements. More content will become available once a search term has been encoded and the users hit enter. The Naver SERP shows an extensive array of information with vertical search categories located at the upper part of the page, comparable to Google. In contrast to Google, however, these categories not only consist of Universal Search Results, like News and Images but also contain Naver’s specific services such as Naver Blogs and Café. Although similar to Google, the arrangement of these categories change, depending on the search term and the users’ historical search behavior data. Lastly, the trending search box is a ranking of the top trends for a specific duration. It can be diverse subjects depending on the keyword the user searches for, and the Naver SERP can also feature multiple trending searches lists. With a Universal SERP on Naver, users can have 10 or more different vertical search results displayed on a single page. This is in contrast to Google’s initial SERP with around 30 results, combining images, videos, news, maps, books, and scholar results. However, all that does not compete with Naver’s 19 different vertical categories – without taking into account all the features snippets that it contains. Upon making a search, the first section of results that users usually get is not the standard organic results. Instead, the first, largest section features links to paid search results or social media and user-generated content at most times. What follows after that, is a combination of sources from news sections, knowledge content, white papers and academic reports, related books and vertical results from images, videos, shopping, and locations. Several of these originate from Naver’s own properties and archives. After the user has scrolled through all of this, they will finally see organic web results. These are but some of the differences between Naver and Google. Another important thing to remember is that Naver’s search algorithm is built around the Korean language. This helps Naver provide more relevant results than Google in many instances since Korean language rules are quite different from that of English. This is a standard pay-per-click (PPC) text advertisement, which contains a title, a description, a display URL – and more options depending on the placement of the ad. These website search ads appear on Naver search results, on Naver’s own service pages (Naver Blog, Café, etc. ), and on Naver search partner sites. 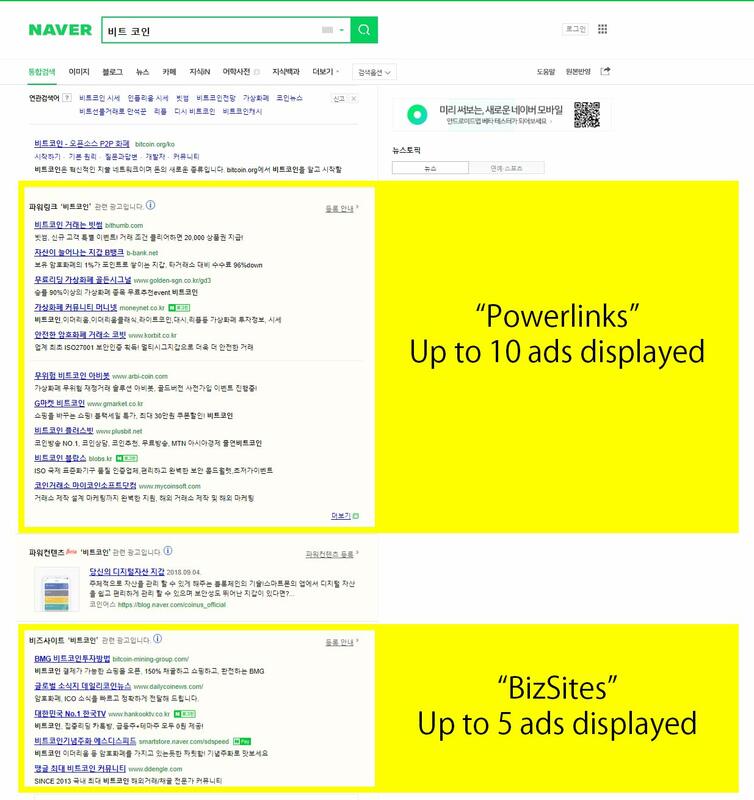 In addition, Naver categorizes these ads into two sections, calling the top section Powerlinks and the bottom section BizSites. The Brand Search Ad is generated by searches on a brand keyword or keywords extremely related to the brand. 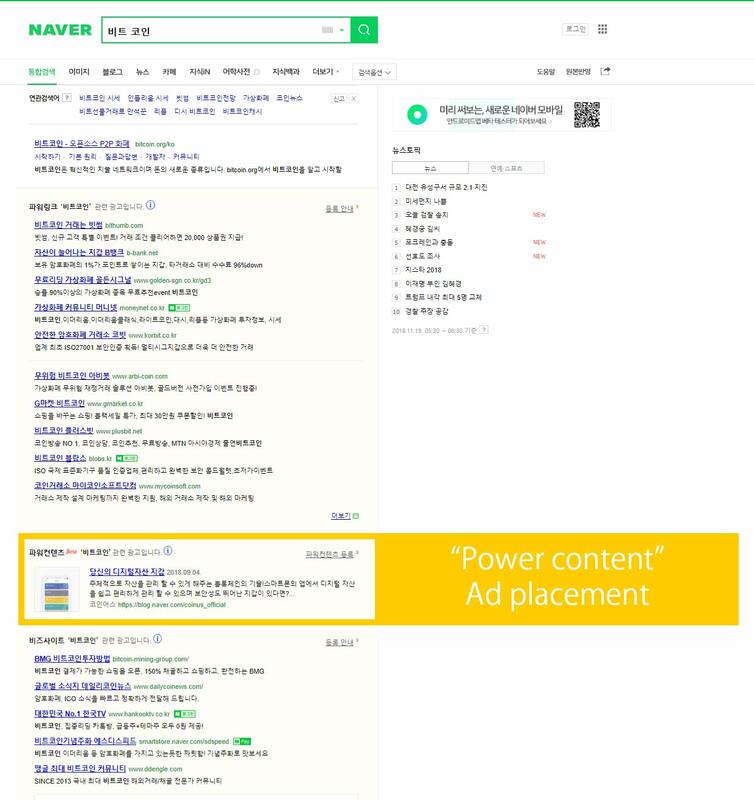 Power Content Ads endorse original content (blogs, Naver Post, Naver Café) for a user’s selected search terms. This is an ad exclusively available to mobile with a unique user interface optimized for particular business categories. This is an ad for both PC and mobile which concentrates on product images as the central ad component. It is limited in its offers since only businesses in the fashion industry can avail it. In addition, advertisers are unable to choose the keywords to target the ads and Naver automatically selects them. 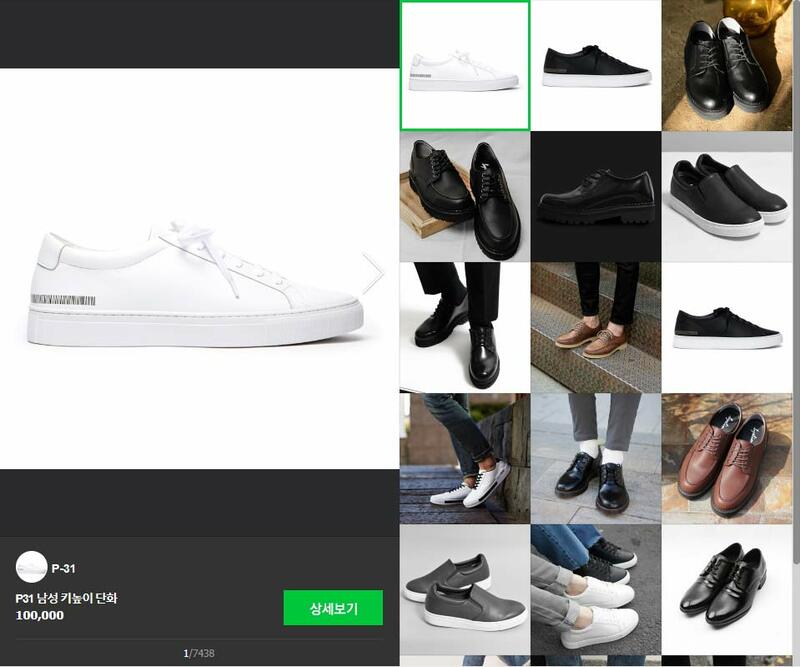 This ad category displays current products on the Naver Shopping platform onto the Naver SERP. 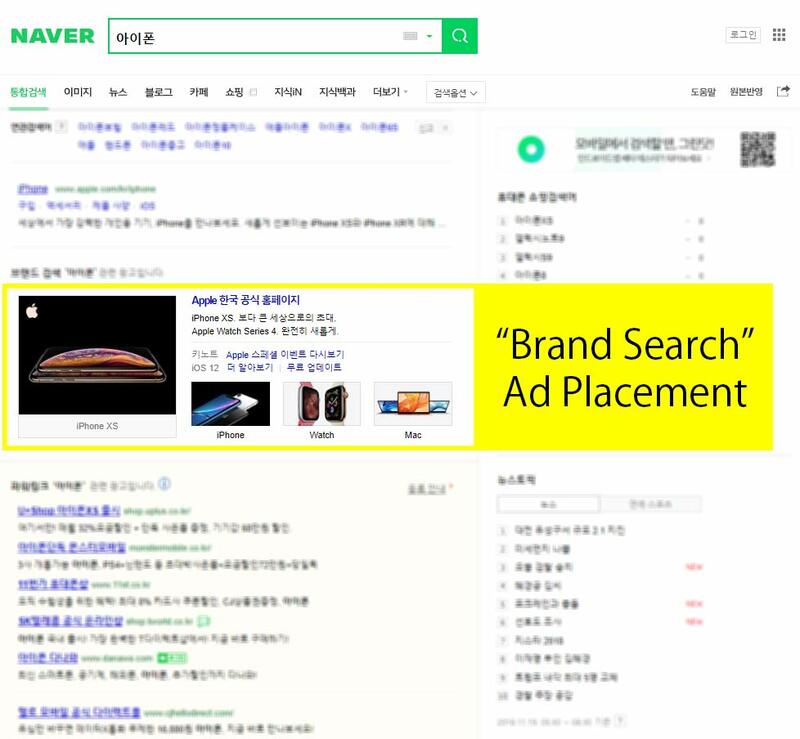 However, this means that ads cannot be targeted based on keyword selections but rather they rely on Naver to automatically position the ad depending on the information of the product registered on Naver Shopping and several other factors, such as search intent and buying patterns. To sum it up, South Korea’s search engine market is dominated by Naver, a local player in the industry. This makes SEO for the country starkly different from others that are being led by Google. Thus it is important to learn more about Naver in order to effectively penetrate South Korea in digital marketing. There are several search engines that are available in South Korea at present, this includes Google, Daum with Naver at the top. Naver is blatantly different to Google, as it also serves as a web portal rather than a mere search engine. In addition, it’s SERP is also unlike that of Google. Its search algorithm is also built upon the Korean language, which gives it a huge advantage over Google. 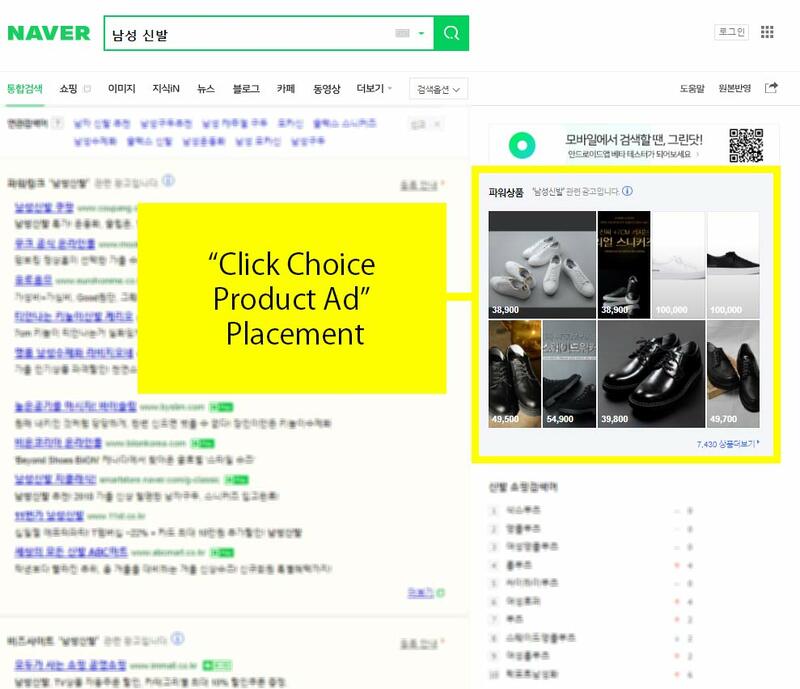 For those wishing to advertise on Naver, there are several ways available such as website search ads, brand search ads, power content ads, click choice plus ads, click choice product ads, and shopping search ads. There are indeed many features and particulars that are unique to Naver, which can make it tricky for new entrants to optimize their content. Contact us at Info Cubic Japan today to learn more about Naver and how to effectively use it for your digital marketing campaign.